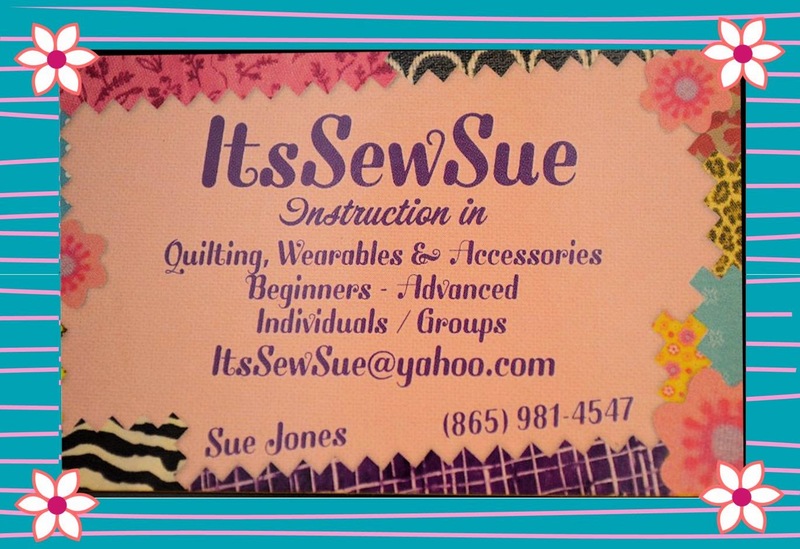 We are fortunate enough to have one of the best sewing teachers around in East Tennessee SUE JONES. She teaches all around the country but mostly in Tennessee. Below is a listing of the classes she has scheduled. They are also posted on the Sewing with Rascal Calendar at bottom of page. Travel Essentials: (1 day class) It's easy to take beauty on the go and look stylish while doing so with this handy cosmetics organizer...or use it as a sewing notions organizer for class or at home. Pattern required. With a little pre-class work, you can have this great carry-all done in just 2 days. This functional yet stylish bag has side grab handles and a detachable, adjustable strap with pad for comfortable over-the-shoulder carrying. Lots of pockets inside and out provide easy access to travel needs and plenty of organized storage. Carry-on compliant, too! Pattern required.